Profiles of members in the club. Can you tell me a little about yourself Sarah? Where you came from, went to school, how you got into running and what you are doing now in regard to family and career. I grew up in Guerneville, one of my most favorite places in the world! My twin sister & I grew up playing soccer, volleyball, basketball, & tennis. I also took ballet lessons! We were both super active, so when I started begging my parents to send me to Ursuline in 4th grade, they started considering it since their sports programs were so good. Ursuline’s soccer team seemed to be 1st in the league every year and back then, soccer & running is what I hoped to pursue. Once my parents caved & my twin sister & I were accepted to Ursuline, we both went out for soccer. After a few days of tryouts, we were both cut for being “too small.” I went on to run cross country that Fall and am so glad I did. By my Junior year at Ursuline, I started receiving several scholarship offers from all over the country. I decided to go with Chico & stay close to home. Since college, I have been working for Wells Fargo Advisors in Petaluma as a licensed associate. The Fam Bam: I met Tom (my fiancé ) and his bulldog Bella in 2009. In August of 2013 Tom proposed and a month after our engagement, we found out we were pregnant! Our healthy Tommy Jr. was born three weeks early in June of 2014. By this time we had acquired two more dogs, my Doberman (& training partner), “Moose” & Bella’s brother “Jack,” who had become a rescue. 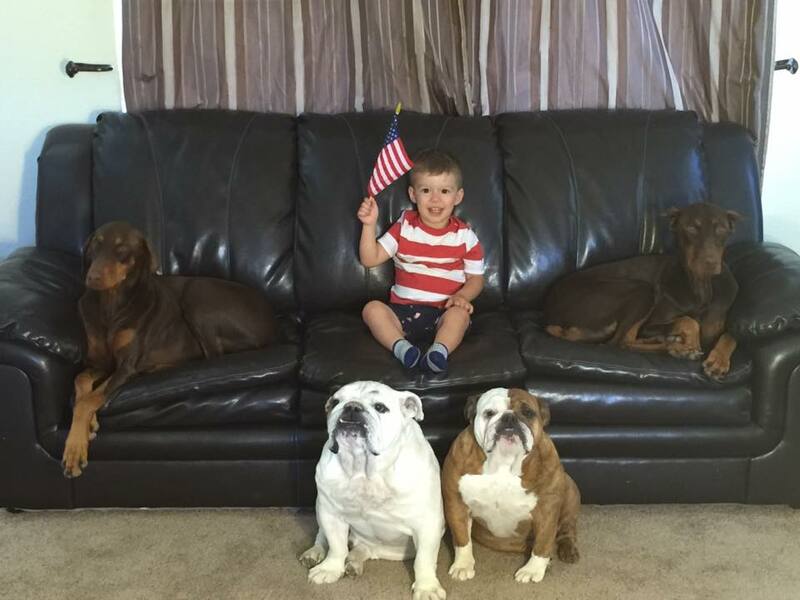 Ten months after Tommy Jr was born, we rescued Moose’s sister “Nora,” & that’s how you end up with a baby and four dogs. When I am not dragging the family around the country with me for a race, you can find us in Tahoe, or fishing, or spending time with the grandparents. I am also an ambassador for Mudroom Backpacks and run for Thirty Birds & Gatorade. Tell us a little more about your HS career at Ursuline – what were your favorite events? What were some memorable races? I mostly ran the 800 and 1600 at Ursuline but I would occasionally run the 3200 and the 4×400 when my coach could talk me into it. 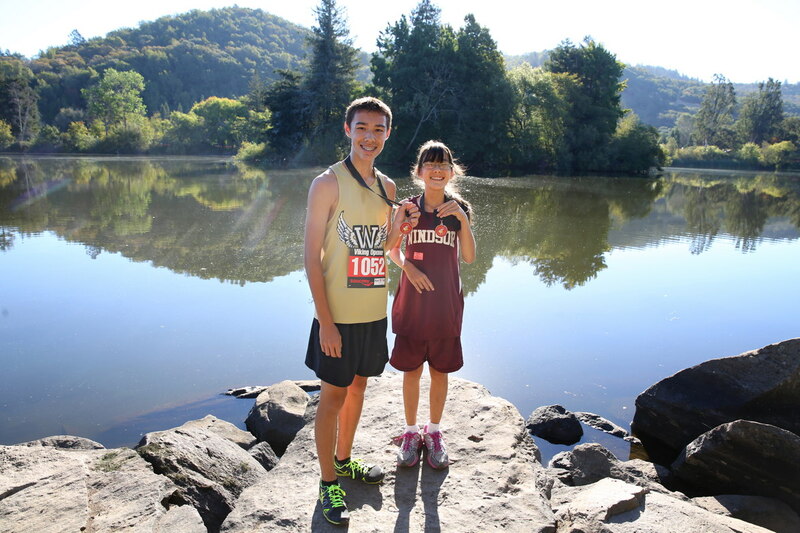 My most memorable races were probably in cross-country where I qualified for state each year. 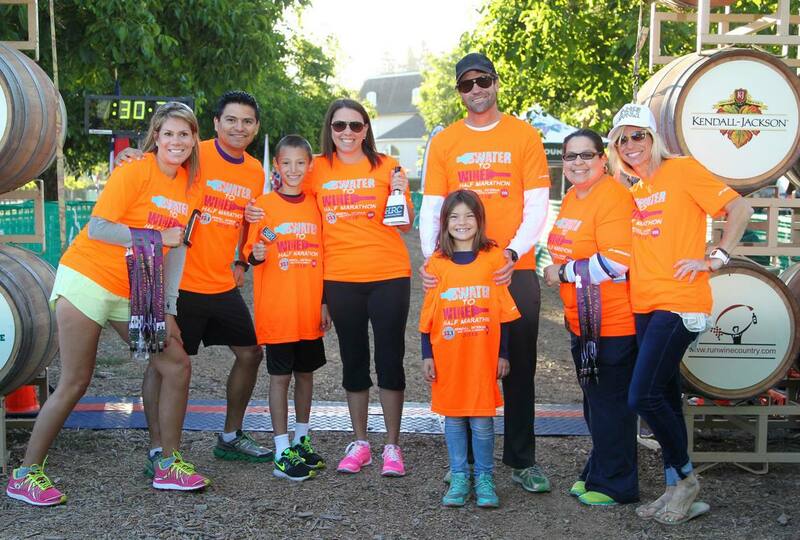 Looking back, I know running in the Redwood Empire, was truly a gift. I knew the girls that I was competing with were both going to be a Big Deal, and that was pretty awesome. Julia Stamps and Sara Bei are both such amazing athletes and people. It goes without saying that being able to run in the same races with them, made me a better runner. It really was a gift. I understand that you went to Chico State on a scholarship but that you ran into more than your share of bad luck, injury and illness there. What kept you going? The constant injuries at Chico were pretty discouraging. Any runner knows that being injured is the most annoying part of our sport. What kept me going is my love of the sport & of course my coach. Gary Towne is an amazing coach, I absolutely love him! He definitely got me through the hard times with cross training workouts and the right trainers in the Chico State training facility. Shortly after graduation you ran your first marathon? This distance is way beyond the longest track races. What made you want to do it? I wanted to do a marathon since high school. I just wanted to be able to say I did it. Now here I am 26 marathons later and it doesn’t really seem like as big of a deal now ha ha! 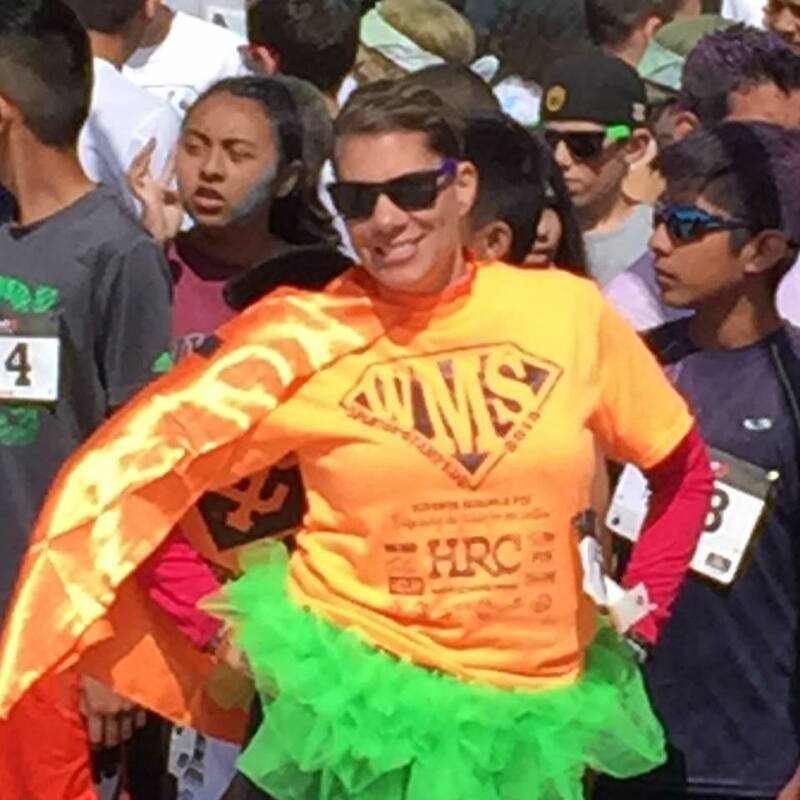 My high school coach Heather Rosales was a marathon runner and a talented one! I was definitely inspired by her. Gary in Chico is also a very talented marathon runner & had actually run CIM the Sunday before my recruiting trip there. As he showed me around campus, I kept hearing people congratulate him. He’s so modest so it took me the whole trip to find out that he had just run a blazing marathon in Sac that weekend. My coaches have all been pretty inspiring people to have in my life, I’ve been very lucky. I know that you have broken 3 hours – what is your PR, where did you set it and how did that race go? 2:52.11 is my PR. I ran that in Santa Barbara after they canceled the NYC marathon due to the hurricane. I felt like I was ready to run NYC that year and when our plane landed in New York and we caught a cab to Manhattan, I found out the mayor decided to cancel the marathon. My mom, Tom my fiancé and I had a great time in New York anyway then flew home. The very next weekend I ran the Santa Barbara Marathon. I definitely didn’t expect a PR that weekend but of course I’ve come to expect the unexpected with marathons. You are beyond super-active – how do you balance your training, time with your animals, family time and job responsibilities? How much rest do you get every night? I’ve always trained early so getting up at 5am to run 8-10 miles isn’t a big deal. I take both of our Dobermans with me for part of my run so they get their daily exercise too. Getting up early was a bit harder when Tommy Jr was younger and I was up nursing 3-5 times a night, but now that he’s two years old, getting up at 5am is much easier again. I start work at 7:30 so getting my workout in before my workday starts makes life so much easier. I cross-train or lift weights on my lunch break so once I get home from work, I have the rest of my day open with my family. I still take Jr running in the stroller with me as well, but usually only on a double day or to give dad a short break. Tom is an amazing help too; I couldn’t leave for three hours on a Sunday or any other day to run and workout without his constant help. I wish I could say I get more than six to seven hours of sleep a night but honestly, that’s about it. Some weekends I can sneak in a nap when Jr is down but that’s about the only time I can catch up. I know that in addition to running you lift, swim and bike. Do you stick to a pretty rigid schedule or do you adjust based on your racing goals, the way you feel etc? I am always adjusting based on my future races and goals. Some mornings I’ll roll out of bed and won’t be feeling as recovered as needed. On those days, I’ll do an easy run and do a workout the following day instead. I mix in both swimming and cycling a couple times a week for extra recovery as well. The cycling these days is usually with Jr on the back of my mountain bike though, nothing too intense. I just happened to be at the Montgomery HS track a month or so back and you showed up at the end of a 20 mile run as I understand it and jumped right in to some 200M repeats with Kate Papadopolous. How can you do that without getting injured? I always try to do a few up-tempo repeats at the end of a long run just to wake up the legs after so many miles at the same pace. My college coach always encouraged this and I’ve just stuck to it. It was totally random seeing Kate there, so I just asked if it were okay to join her for a few. I do a lot of my long runs with Empire Runner, Vojta Ripa but that particular day, I was doing a 20-miler solo so Kate letting me join her was awesome and much appreciated. 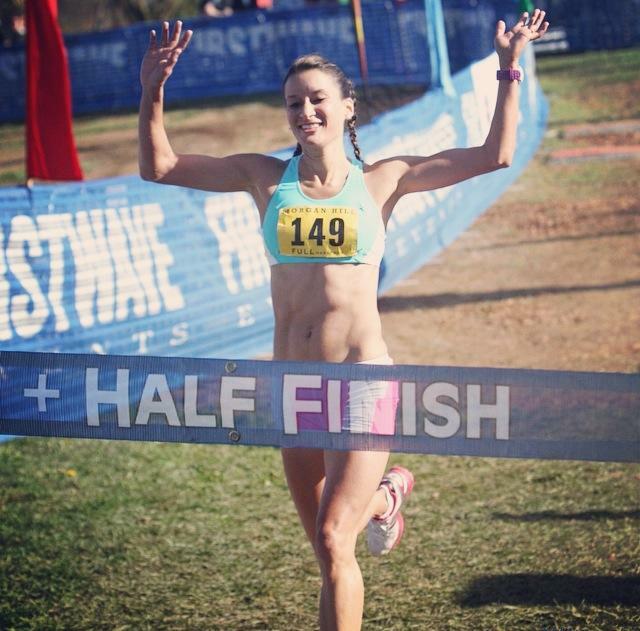 What are your short term goals as a runner? Got any big races coming up? What are your long-term goals, say in the next five to ten years? I’d like to run sub 2:50 in a marathon eventually. I’ve done so many marathons and only 3-4 that were completely flat. I feel like I could run sub 2:50 on a flat course on the right day. My next race is actually a non-running race (swim). “Escape from the Rock,” on August 26th. It’s one of those bucket-list items that I’ve always planned to do and finally signed up for. I’m not sure what my next running event is yet since I just ran a marathon a few weeks ago. I’m giving myself some extra recovery since its been awhile since I’ve taken any decent amount of time off. 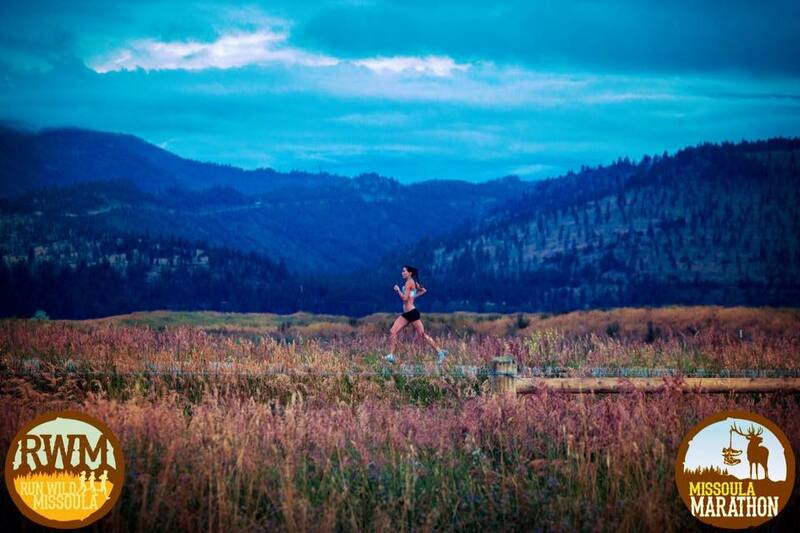 Who do you look up to as a runner? Who do you look up to in life? As a runner, that would be Sara Hall and Julia Stamps-Mallon. Both are very inspiring and local legends! Verity Breen is another athlete that I am very inspired by. She is an amazing athlete and creator/owner of Thirty Birds, the racing clothes I wear. 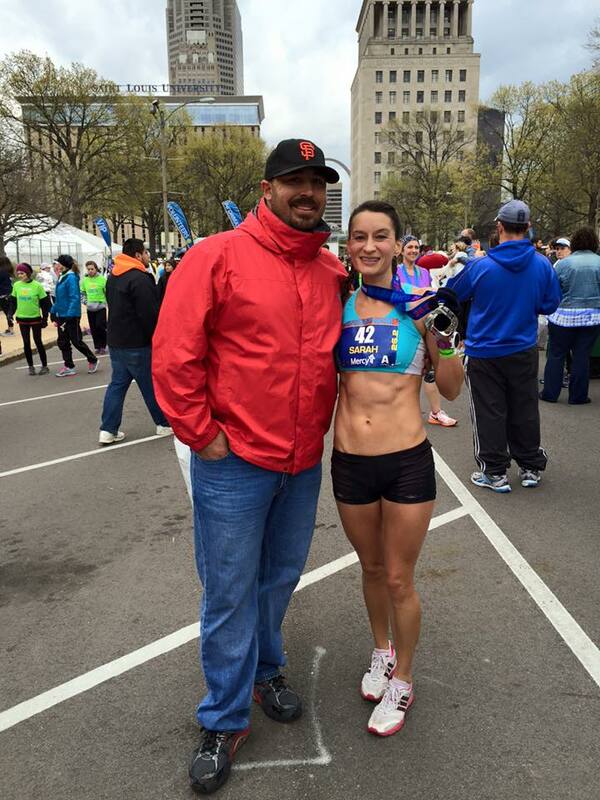 She will be 50 this year and still runs sub 6:30 pace in some of her races! She is simply amazing!! Who I look up to in life would definitely be my parents and fiancé Tom. All have provided so much to my life and would do anything for me if needed. I am so blessed to be surrounded by them everyday. Mexico with a bachelor’s degree in electrical engineering during one of the tech downturns. Unable to find a job, she decided to go on and get her MBA at the University of Texas at Austin which had a new concentration in information systems. She was thrilled to secure her first “real” job working for Hewlett-Packard in Rohnert Park in 1988 as a systems analyst. She worked her way up through the management ranks at HP and Agilent. Outside of work and for all her life Tanya has had a love for being out in the wilderness, and a trip to the Brooks range in Alaska with husband and fellow empire runner Tim Stewart in 1994 caused her to start thinking about a career change. It took her a long time but in 2005 she left Agilent to work for a nonprofit called the Leadership Institute for Ecology and the Economy. She became fascinated with how the design of our cities and transportation systems could be changed to improve our quality of life, health and that of the environment. She decided to go back to school to learn more and enrolled in a distance learning masters program in urban and regional planning through the University of Florida in late 2014. She felt ready to take on a new challenge and left the Institute in May of 2015. Tanya recently started working for the county of Sonoma as the IT manager for the Department of Health Services. She feels that it’s a fun job because she is learning a lot about the many important services the health department provides for county residents. Tanya says that she does not know where her path is leading, but as long as she is learning and feeling challenged she will be happy! When did you join the Empire Runners? I think it was some time in 1990, around the time when Tim and I got married. You have been a member of the board and ER Treasurer now for how many years? Being Treasurer is labor intensive – What has kept you so involved for so long? I love this club and its members. From my very first Sunday run, which by the way I was super intimidated to attend because I knew how slow I was and how fast everyone else was, I’ve felt supported and encouraged to be the best runner I can be. It’s never mattered that my per mile pace is slower than others. So I stay involved because I am so grateful for the club, for all it’s given to me and the running community at large. I also see how a small number of volunteers do so much to organize the races we all enjoy, and I’m thankful to everyone who shows up early to set up the course, check in runners, and basically do all the work so that the rest of us can enjoy the race. part of the ER team and cheer each other on. 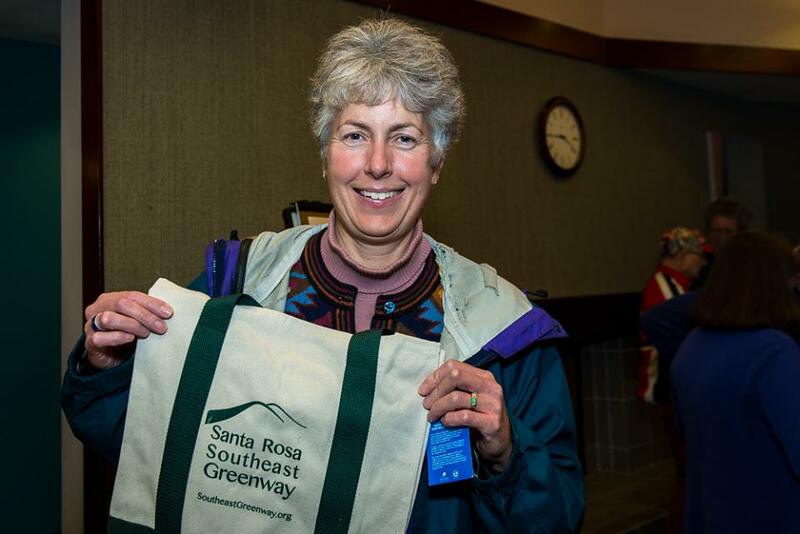 On top of being so active in the Empire Runners – you have been one of the people behind the Southeast Greenway initiative. Tell us a little about how you got involved and the work you have done to assist with that effort over the past several years. I originally got involved through my role at the Leadership Institute. project. The community is really fortunate that many years ago a group of passionate residents came together to stop the bridge over Spring Lake, and then more recently the greenway volunteers who have held the vision of a greenway to Spring Lake when so many others might have settled for a road on the Highway-12 right of way. As a volunteer, I’ve helped with tabling at events, attending public meetings, and most recently set up the tech equipment for the greenway’s annual community event last February. town, where do you do the bulk of your running? half from my house, so I have a range of options depending on how far I want to run. When I was training for my last marathon I did quite a few miles up and down the various creek trails. I also run in “the park” (Annadel) at least once a week, usually on Sundays, and try to get to the Thursday night run as well. up to? What are some of your favorites? Got any others planned? learned about a website dedicated to “run commuting” and am intrigued by the idea of running to/from work to get a few more miles in during the week. Do you do any cross-training? If so, what? I’ve been participating in club member Shelli Main’s boot camp once a week and am really enjoying it. I also dabble in yoga, but struggle to maintain a consistent practice. I need more hours in the day! I used to commute by bike when I worked downtown, and would like to start riding to work again. follow any particular diet or nutritional program? What are some of your go-to meals? Farm. It’s a great way to try new vegetables that I wouldn’t otherwise buy. I like making green smoothies to use up the abundance of greens in our box. Basically I aim for moderation and figure that if I don’t eat too much of any one thing (other than fruits and veggies, of course :)) then I’m doing ok.
long-term goals, say in the next five to ten years? love to try one day. I’m also for some bizarre reason drawn to run the Tioga pass race that goes from Lee Vining at Mono Lake up 12.8 miles to Tioga pass. I’ve had trouble with altitude sickness so the idea of running from 7,000 to 10,000 feet is daunting but every time Tim and I do a trip to Mono Lake I think about doing the race some day. As a runner I look up to Shirley Fee who runs crazy long trail races (30+ miles) and has a contagious drive to see what new adventure she can tackle. In life I look up to my uncle Edgar who recently turned 80 and still runs and bikes with great enthusiasm for life. I look up to anyone who pushes their own edge and does something that at first may not seem possible. Vojta was born in the Czech Republic right after the fall of communism July 30th, 1989. When he was young he was always very active alongside his only brother and sibling Honza. 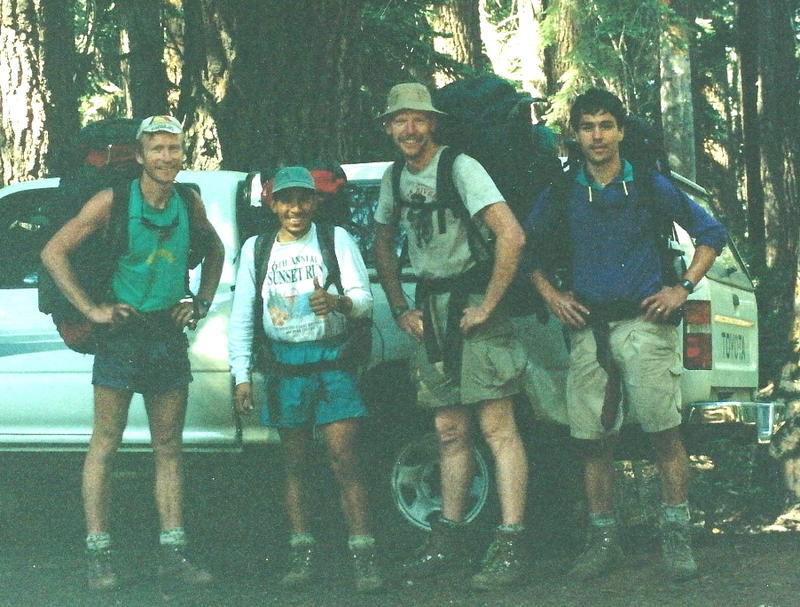 They hiked almost every weekend, went bike riding with their dad, cross-country and downhill skiing etc. starting at the age of three. Vojta enrolled in gymnastics from first thru fourth grades until they moved to the U.S. with their mom. This was a fresh start for all of them. Everything was new – language, culture, sports, environment, friends, food you name it. It was at this point that Vojta and his brother became really close. Since they only had each other, they had to have each others back and help each other through everything. They didn’t know much English at all when Vojta came to America at the age of ten and his brother Honza was eight. Since Czech was the only language they knew it was tough to communicate with others. 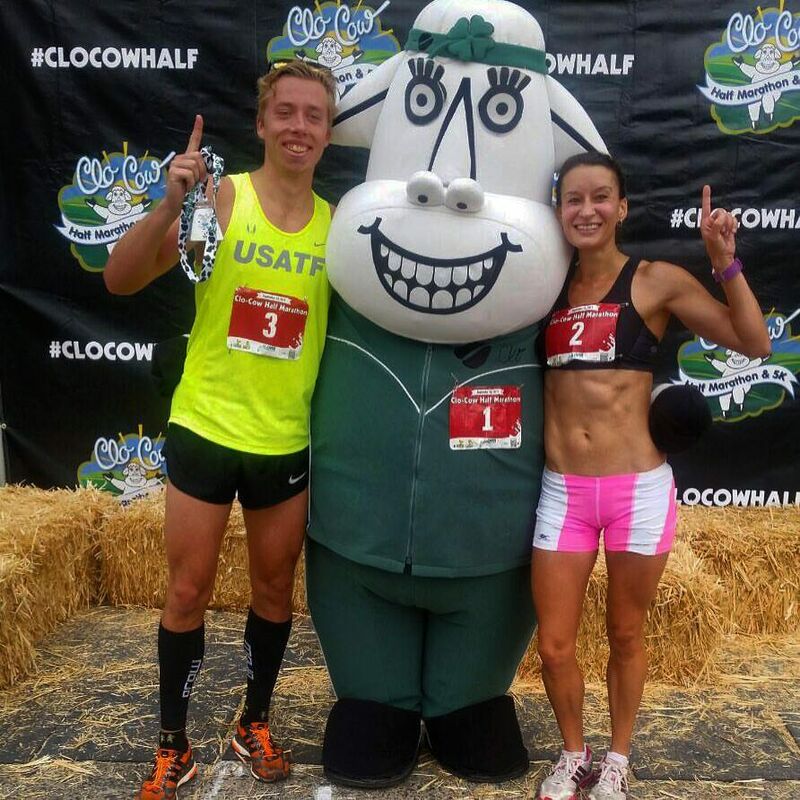 Vojta didn’t do much actual running per se’ until he came to the U.S. where his first encounter was a timed run in fourth grade PE class while living in Lake Tahoe. Vojta was surprised to find himself in first place as he had never ran much before but he came to like it. It was a great way to fit in at school. 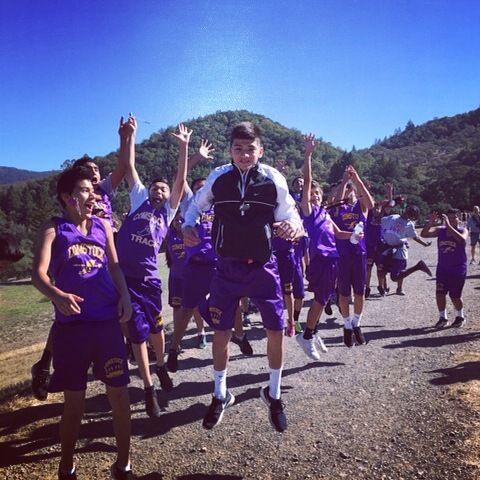 Seventh grade was the first time Vojta ran as a member of an actual track team for Healdsburg Junior High. He started out as a sprinter, but the next year he wanted to challenge himself with longer distances and decided to run the 800 and 1600. Distance was tougher for Vojta given he had asthma ever since he was small child, but he found that the more he ran, the stronger his lungs became until it got to the point where he “lost” his asthma completely. Vojta was always a member of his various school’s track and cross-country programs until he graduated from Stanislaus State. He got more and more into it every year. Even now he keeps it up because it was something he grew up with and it is still something he enjoys. Vojta says there are a million more reasons why he likes to run. You are involved in a lot of activities besides running – mountain biking, kayaking, obstacle courses just to name a few. How do you fit it all in? Vojta: I like sports in general. I feel activities are a key part in life, whether its competitiveness, bonding/teamwork, or just getting and staying in shape and maintaining good health. Beside the previous activities I’ve mentioned, I like to try anything; but repeatedly I like mountain and roadbiking for cross training, I’ve done a few short tri’s, which are tougher for me since my swimming isn’t great, weighing me down heavily. 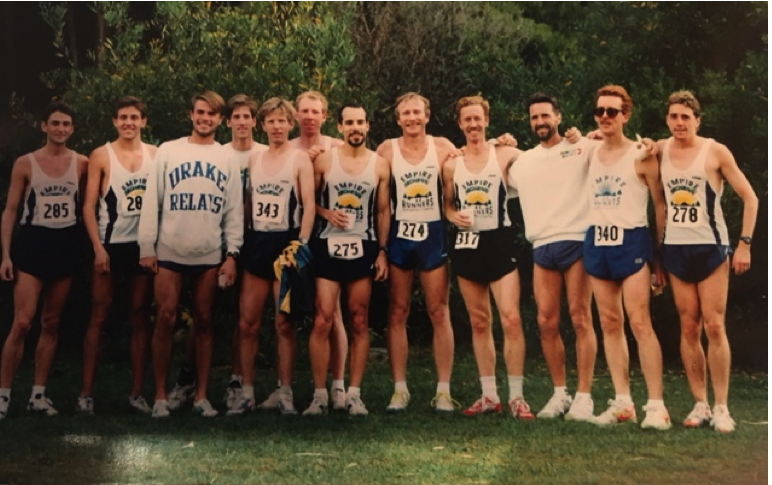 I have even tried the Battle Frog race at Lake Sonoma which was a combination of obstacles, muddy trails and a long run over seven miles long. It was surprisingly challenging due to the emphasis on upper body strength which most of us runners lack but it was still a lot of fun! Were you always a runner or did you experiment with other sports? Vojta: Between fifth grade and high school I experimented with other sports, until I found running. 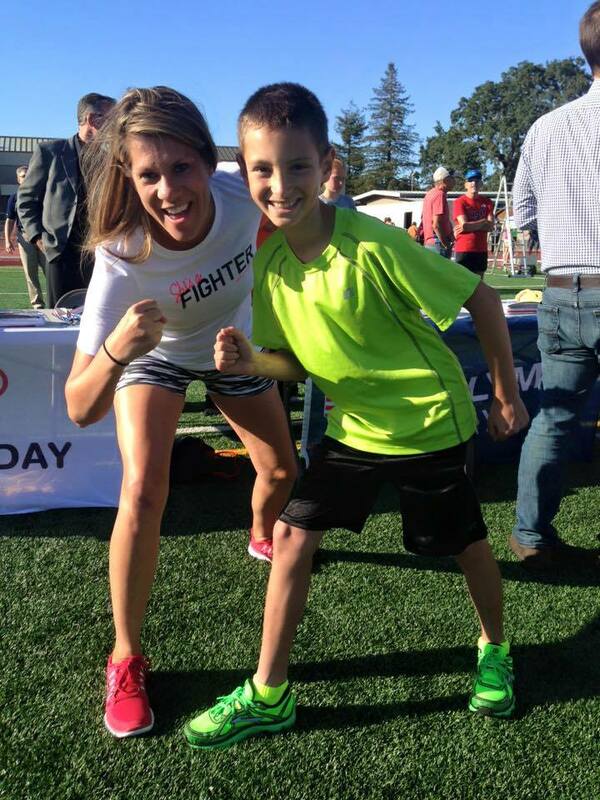 Sports I participated in include: football, baseball, basketball, soccer, golf, karate, and wrestling. 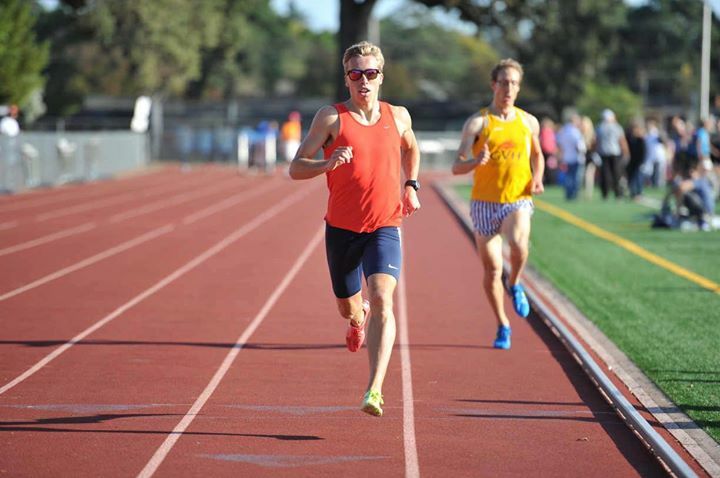 You ran some impressive times in the 800 and 1500 when at Stanislaus, consistently below two minutes in the former and in the low fours in the latter. Do you feel that you are natural middle-distance runner? Why or why not? Vojta: I started running very well my second year at the JC under coach Whitney and Pat Ryan. My marks got down to 1:55 in the 800m and 4:02 which is my current PR in the 1500m. I was in very great shape to run much faster in both events at CSU Stanislaus but come to racing I only bettered my 800m by 1 second. I feel like at the time those events were the right ones for me. I tried experimenting with the 4×4 and ran a few 49 splits, and I tried the 5k and ran in the low 16 minute range, but neither compare to my performaces in the 800m and 1500m events; Based on that I feel like I BECAME and maybe still am a natural middle distance runner. I feel that my body type shows and mimics a middle distance runners. Being a little bit more stocky than long distance runners but not to the point of most sprinters. 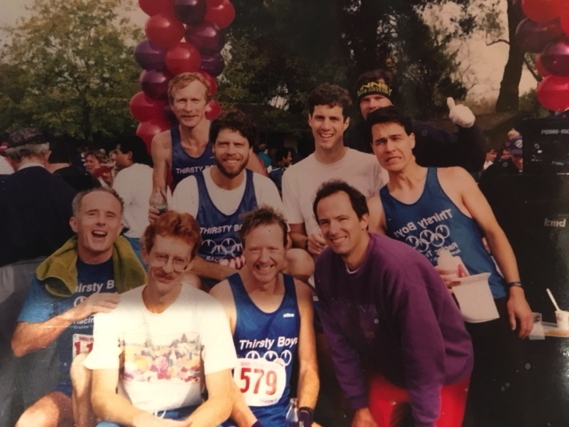 If you could have one race back – to run it again – what would you do differently and why? Vojta: There are two important races that I’ve constantly looked back on. Both were in the 800m. The first was at the JC level in the NOR CAL finals. There were 8 of us in the race but only 4 made it to the state meet. I was running the race of my life and was up there with the leaders. We only had 200m to go which is usually my strongest part of the race. Unfortunately I got boxed in and then one guy cut a bunch of people off which made a few of us slowdown and lose our momentum. I tried fighting back, but finished in 5th place, missing the state meet by 1 second. If I had known and had a chance to do it all over again I would swing to the outside earlier which would have gave me a clearer path to strike with 200m left, make it to the state meet and probably PR. 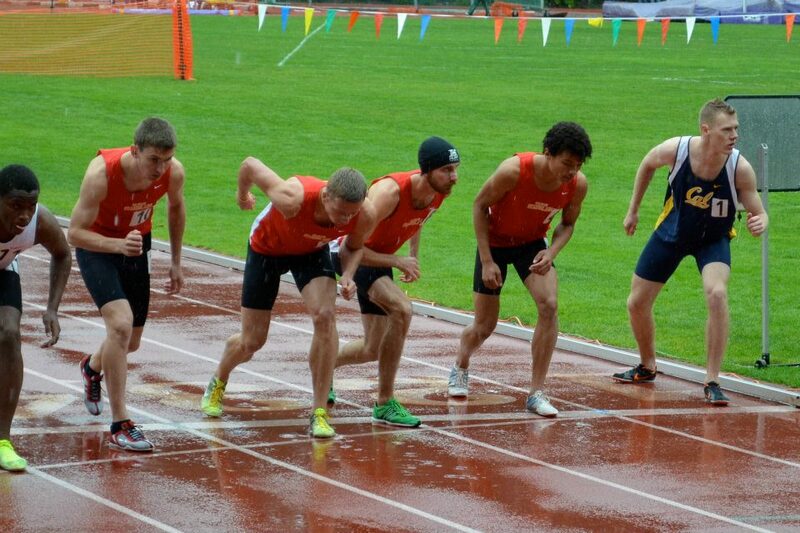 The other race was the NCAA division 2 conference trials in the 800m where they postponed our race 15 minutes or so. Instead of staying warm and loose I decided to just sit there conserving energy. This may have been the cause which resulted in a total breakdown race for me where I had no energy in the most critical race of the season, fell apart and felt completely out of it most of the race. I should have stayed warm and sharp instead. What are some of you short term goals? What are you working on now and how have you adjusted your workouts to achieve them? Vojta: Trying to run post-collegiately is definitely not easy. Finding motivation is sometimes tough to start, but after getting going it’s also hard to stop. 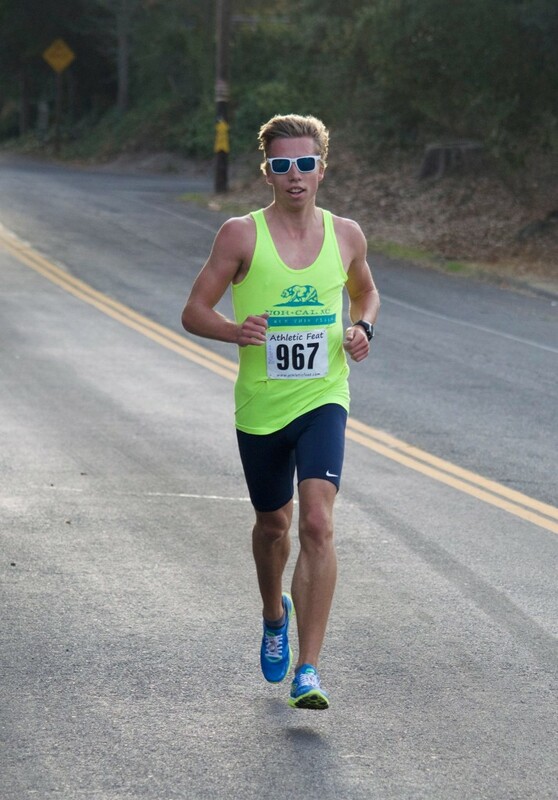 Short term goals are staying injury free and getting in shape for the Boston Marathon and running a good race at Annadel Half Marathon. (which may be over by the time this is published). Right now I’m just working on building up my millage and getting used to maintaining a fast pace for a longer period of time. To achieve this I do longer runs at a faster pace or longer interval training instead of short sprints. Endurance runs are something you can keep increasing so I’m finding myself pushing boundaries and testing myself on long runs in terms of increasing my distance, lately hitting 100 miles per week. What are some of your long term goals? What do you hope to achieve over the next decade and how do you hope to do so? Vojta: I haven’t really planned my long term goals too much. I don’t plan ahead too much which may be a bad thing, but I like to plan maybe a few months in advance if something comes along. Running Boston was my big goal since last spring and I’m making that happen in just a few weeks. PRing in various events is always on my mind and trying out new races at various locations is fun for me. I would like to keep running as long as I can because its so good for you healthwise, and a great way to release stress and unwind. Competitive running makes this easier to do in my opinion. Most distance runners revere the great Czech Olympian Emil Zatopek – who inspires you and why? Vojta: Specifically, Galen Rupp has been very impressive to watch, but its anyone who keeps pushing the boundaries and working hard day in, day out. One example is Sarah Hallas who is my roommate who never seems to stop, at age 35. With a 2 year old, full time job and a fiancé, she runs as much as I do and works out 2 to 3 times a day during the week, and wins marathons on the weekends. On the lighter side – how do you relax and unwind after a hard run, race or workout? Vojta: Beer, food and sleep are always nice. I like going out and playing golf, going to the beach and just being outside is relaxing to me. I also like watching sporting events on TV, hang out with friends or doing numerous things on my computer, like looking at new races to run. What is your favorite track workout? Road workout? Cross-Training activity? Vojta: Being a middle distance runner I always fall back on track workouts. I start with what I know and try to switch it up in different ways. I usually fall back on 400m repeats, various rest times, speeds and quantities. I haven’t done very many road workouts, increasing my pace every mile is what I usually find myself doing on the roads. As for cross training I would say road biking or mountain biking. Sports nutrition advocates run the gamut from Vegan to Paleo and everything in between. What is your stance / advice? Vojta: Eating healthy is definitely important but I don’t always find myself doing that. I usually try to get my protein in after workouts and get my carbs in before and during long runs. To get my fruits and veggies in I usually make salads and protein smoothies which are great. Different things work for different people. I’m sure my diet could use improvements but I don’t find myself super strict with it. I believe getting in a good amount of food to recover your body is important and starving yourself to lose weight is very unhealthy and I against that. If your exercise especially a lot such as myself you need to refuel, and yes you can afford to eat whatever you want. If I was running Pro or close to it I think I would pay more attention to my nutrition, but I’m happy were I’m at. Lastly – is there some question you wished I had asked, or something more you would like to share? Vojta: Maybe a good question most runners get asked is: why do you run? There is a long list of why I run but one big reason for the last six or so years has been my brother Honza. As mentioned in my bio, Honza and I have been very close being the only siblings, and we competed against each other in everything. Even though he wasn’t as dedicated to running as I was, he could kill me on the golf course any day of the wee. Just after he graduated from High School, he got into a terrible and life-changing river diving accident that left him paralyzed from the neck down. This affected not only him but everyone around him, especially me. Now we go golfing together on the weekends because that’s what he loved to do before the accident. 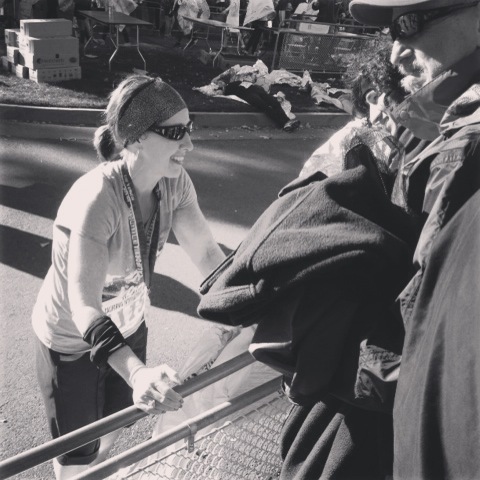 I feel his accident brought me closer to running for a number of reasons. It gives me and out/release for my emotions, but also I feel I have to have fun for the both of us. It made me realize that in the blink of an eye life can change and so I need to keep enjoying what I like to do while I can, and make it count. This month’s interview is with Justin Borton of Taylor Mountain Tuesday fame. To anyone unfamiliar, there is a small but dedicated group of runners who show up every Tuesday morning to run up the short but steep trail to the top of Taylor Mountain. Justin was raised in NYC by his father, an actor and marathoner. Justin spent summers with his mother at Maharishi International University in Iowa where he later enrolled in the University of Iowa. Justin has been living in west Sonoma Co. for the past twelve years. He has four amazing daughters and a loving supportive wife. 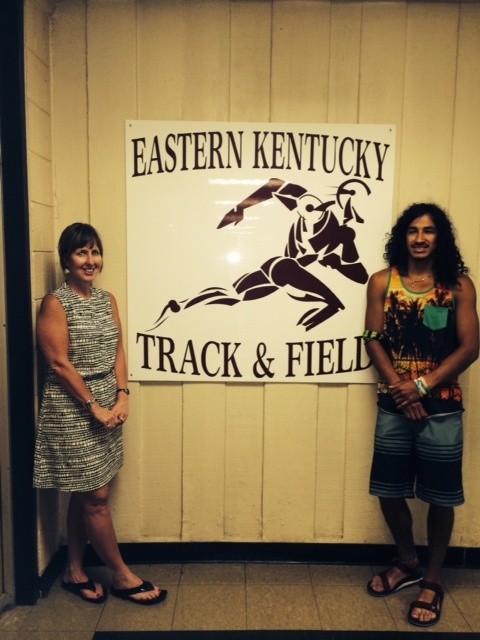 Justin has been running for two and one-half years and has logged approximately 2,500 miles in that time. 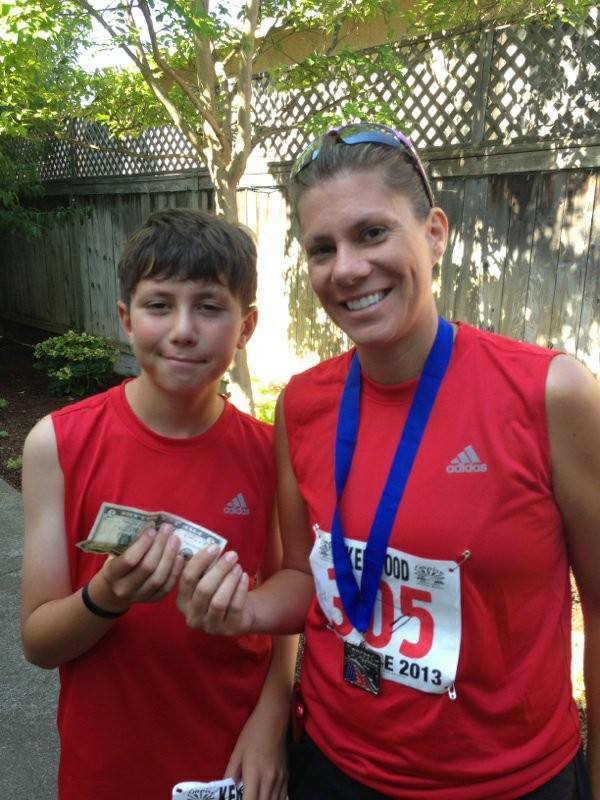 How did you become a runner and what motivated you to get into running? Justin: I spent most of my life as a sitter… not a baby sitter or dog sitter but just a sitter. I was good at sitting. Maybe great. I could sit just about anywhere, on anything. I did it at work. I mean I got paid to sit! Even on my vacations I was sitting. Once I sat in Leadville CO at over 10k elevation. I just sat there like a champ! So, yea, I knew I could sit. But could I move? Could I run? If I took the same passion for sitting and morphed that excellence into movement… well I could maybe be the greatest of all time (GOAT). By all accounts you are the driving force behind “Taylor Mountain Tuesdays”. When did you start doing those runs on a regular basis and how did the group form? Justin: Shawn Sullivan and I started TMT about a year ago. It’s a funny story how it started. I was on Taylor giving a cow a long soul hug when unbeknownst to me some crazy trail runner came up from the other side of the cow and tipped it right on top of me. Ouch and what fun! It turned out to be Shawn! We all collapsed in a pile of cow, mud and friendship. 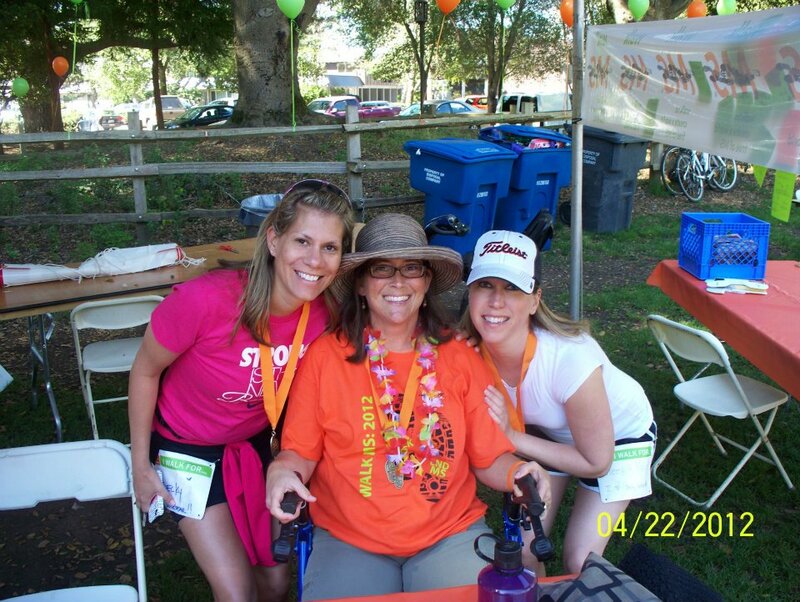 We had so much fun and we knew there might be others out there just like us! So special! So we started TMT to recruit runners into our cow cuddle mud puddle. What would you tell people who might be a little daunted by doing such a super steep hill-climb early in the morning on a work day? Justin: Oh well I’d say to them you should be a little daunted. Summiting that mountain as the sunrises to greet you is pure pleasure. But you know pleasure is a double-edged sword right? And at the other edge of pleasure is pure suffering. But it’s organic, ethical and and local suffering so it’s good for you! You seem like you have a lot of fun with your running based on all of the photos I have seen. What do you attribute that to? Justin: I made the decision long ago around when I was born to try and have fun with everything I do. But some things are inherently not fun; like work, family, cleaning, loved ones, sad movies, and museums. So when I run I try to have a good time. Running down the street is fun but sometimes it isn’t fun. Like when you’re late for the bus. But running a trail is always fun. Nature’s never late and doesn’t make scheduled stops. What are some of your favorite things related to running? Why? Justin: I really loved the movie Chariots of Fire and also I am a huge fan of the band NWA’s song 100 miles and running. That song is about my TMT co-founder Shawn. I’ll tell you one event I did not like and will never run… the trail of tears. Just awful. RIP. What does a typical week of training look like for you? Do you keep to a regular schedule? 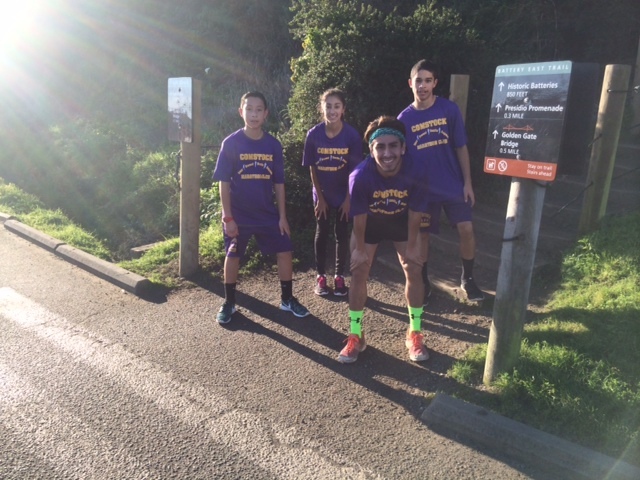 Justin: I start my week on a Wednesday with a flat fun run with my favorite friends. I then move backwards a day to Tuesday with TMT followed by PowerYoga. I take Monday off or cross train at the gym. Sunday and Saturday are long trail runs. Friday is an off day or gym, Thursday I do some cardio and again hit the PowerYoga. By moving through my week backward I dont allow myself to get too complacent with my workouts. Outside of running, what are some of your other passions? Justin: I love to hug people. Mostly kids. But also baby goats (Greatest Of All Time). And I’m a family man so I don’t care for responsibility much but I am passionate about getting out of the house. I’m also passionate about aliens and Bigfoot (the mythical beast not the monster truck). Any advice or lessons you’d like to pass on to your fellow Empire Runners? Justin: Yes. Stay in school, don’t be no fool. Don’t eat tempeh and keep your cool. Always keep your heart open and try toe-socks. Don’t free your Willy and also I know a guy who will botox your buttucks. Question: As a professional photographer for the Press Democrat shooting sports, do you “see things” or observe things while taking photographs that the normal spectators may not appreciate? 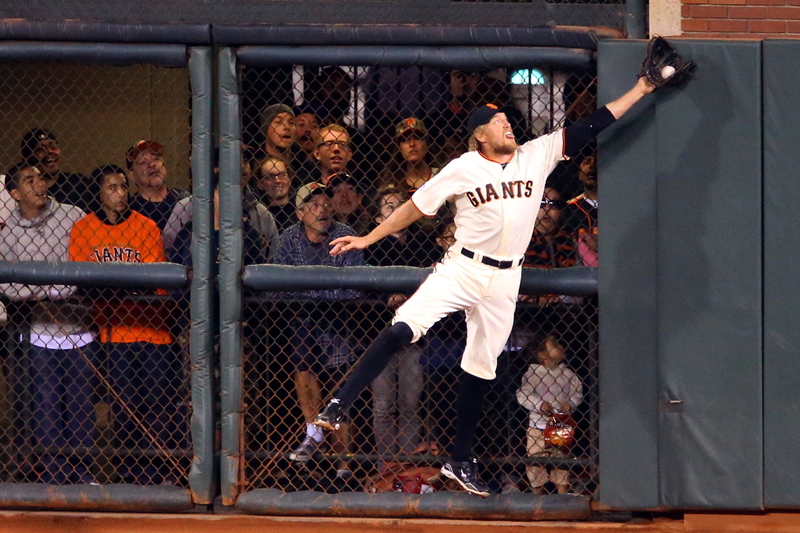 San Francisco Giants right fielder Hunter Pence grabs a fly ball by Washington Nationals batter Jayson Werth in the sixth inning, during Game 4 of the National League Division Series in San Francisco on Tuesday, October 7, 2014. Answer: I don’t think it’s so much that I see or observe things that normal spectators may not appreciate. Everyone interprets the world differently based on the whole of their life experience. The difference in seeing within any group of professional shooters can vary a great deal. But I do think that shooters as a whole are more inclined to look for different angles and moments, and are motivated to challenge themselves visually a little more. You might be looking for interesting light, graphic elements, or good interaction/reaction, in addition to peak action. What’s your favorite sports photo of 2015 and why? If I had to pick a favorite image of the year, I suppose this is it. It’s of Golden State Warriors guards Stephen Curry and Klay Thompson celebrating their win over the Houston Rockets during Game 2 of the NBA Playoffs Western Conference Finals at Oracle Arena, in Oakland on Thursday, May 21, 2015. While shooting sports, I have to keep reminding myself to keep shooting after the action ends. A lot of photographers are much better than I am at doing that. I shoot a lot of sports, but I don’t consider myself a sports shooter. I think I got it right here. It shows the jubilation of a one-point win, and the cheering crowd in the background. It’s a storytelling image. It’s what I strive for in this work. 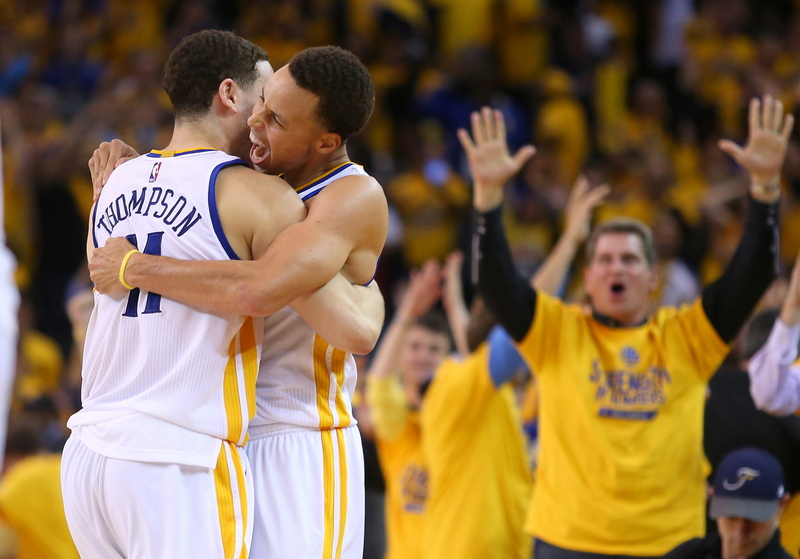 My favorite sports photo of 2015 has to be Steph Curry hugging Klay Thompson during the Warriors playoff run to the championships. The shot came during a 1-point win against the Houston Rockets. It captures the joy and passion of the moment between the players, and the jubilant crowd in the background. Concentrating on shooting game action is easy. Remembering to keep looking after the whistle blows is hard. And during the playoffs (in any sport) it’s those moments that set things apart from the regular season games. When you shoot running events, do you have any observations that other people might not have since you’re looking through a lens? Shooting cross country races presents a certain set of challenges. You have to scope out the course ahead of time, and think about the best environments to capture the runners as they pass. And you have to come up with a plan on the fly to get you into positions where you can see the runners on multiple occasions. I look for areas with nice light, something graphic (like an S-curve), or a nice hill to show the strain of the runners. Then I also pull out tricks, like panning with a slow shutter speed, to show the motion and speed of the sport. I’ll try low wide angles , and framing through trees or other landmarks to mix things up. Every course presents its own opportunities and challenges. The tricky thing about shooting running is that your best shot may not be of the winner. Photographing track is an entirely different beast. You’re limited in your shooting positions and access. In high school, that’s not too much of an issue, but when shooting USATF events, things get really difficult. You have to stake out positions at the finish line, and get on waiting lists to shoot from the infield. A really good accommodating media coordinator that understands your specific needs is really key at those events. Were you a runner in high school, and if so, what are your favorite memories? Did you learn anything that has helped you as an adult? I ran four years of cross country at Dana Hills High School. I was a decent runner on a team of extremely talented runners. The program was so deep that our JV team would beat most of the Varsity teams in our area. But really, it was all about the camaraderie. We had so much fun at practices. On long runs, we’d bring a tennis ball and play catch. Or we’d all run with our eyes closed and have one person calling out turns. Just silly stuff, but it kept things really fun. Don’t get me wrong, we trained hard. We just found a way to not notice that we were working hard. At least I thought I knew what hard work was. When I got to college at UCSB, I wanted to do something really collegiate looking. I know, it was weird. So I joined crew. I was 145 pounds when I graduated high school, so I went into crew thinking I would drop some weight and be a coxswain. The coach saw me at 5’10” and said he’d make a rower out of me. Three months later, I was topped out at 170 pounds, then dropped 10 pounds to make the lightweight boat. 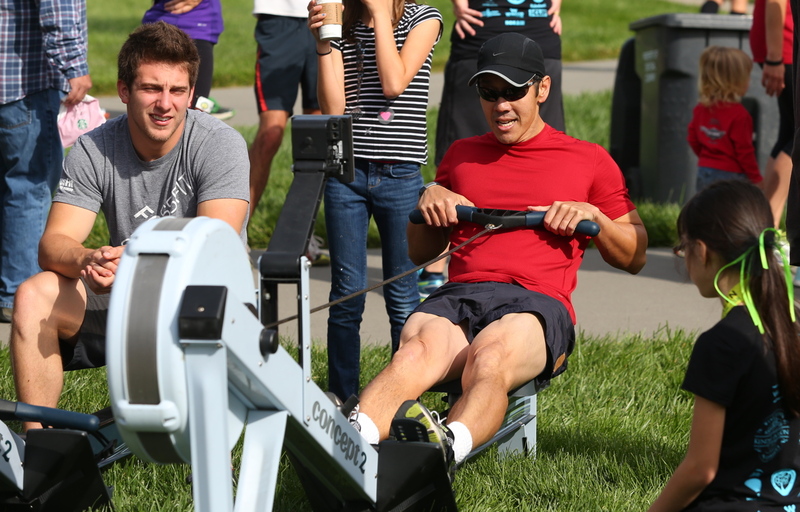 Rowing made me realize that I hadn’t worked nearly close to my potential as a high school athlete. That’s when everything really came together for me both physically and mentally as an athlete. My coach was the US Olympic lightweight rowing coach at the time, and he really trained the mental aspect of endurance well. 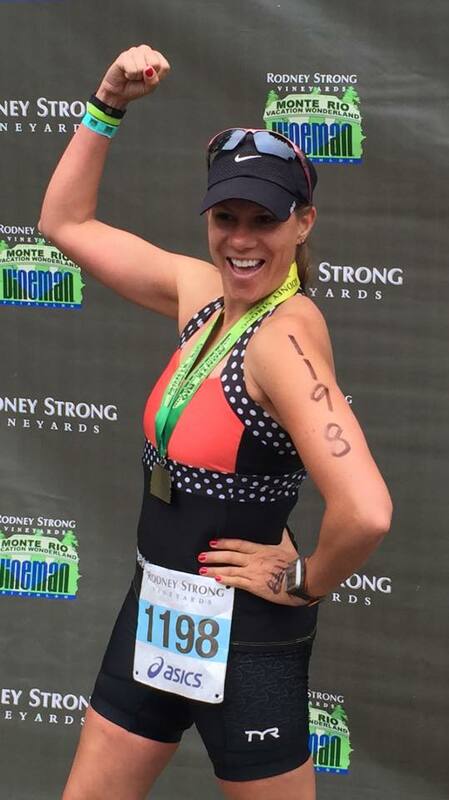 I think that to excel at endurance sports, athletes need a level of mental maturity that I didn’t have in high school, but later achieved in college. 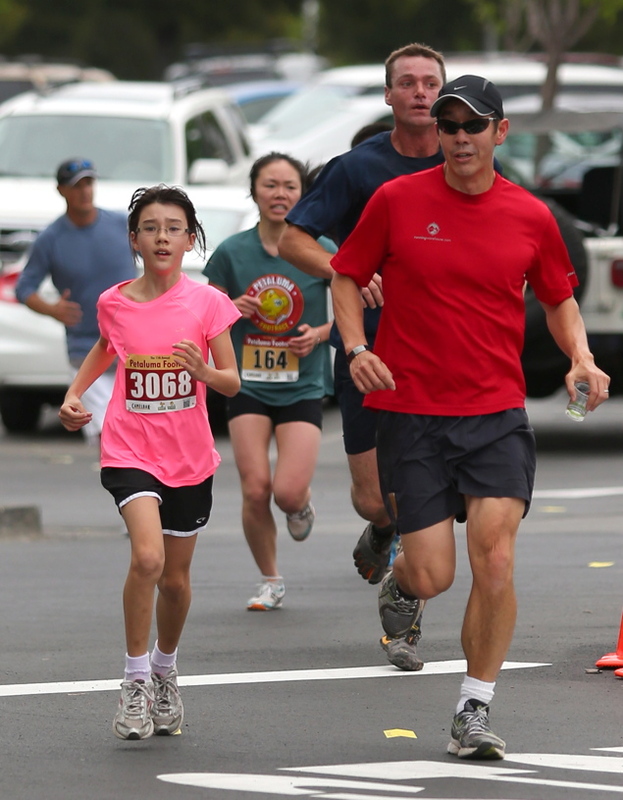 Now that your son Lucas is in High School, and your daughter is running as well, has it renewed your interest in running? Are you running to stay in shape on a regular basis? I’ve never stopped being a fan of running as a sport. 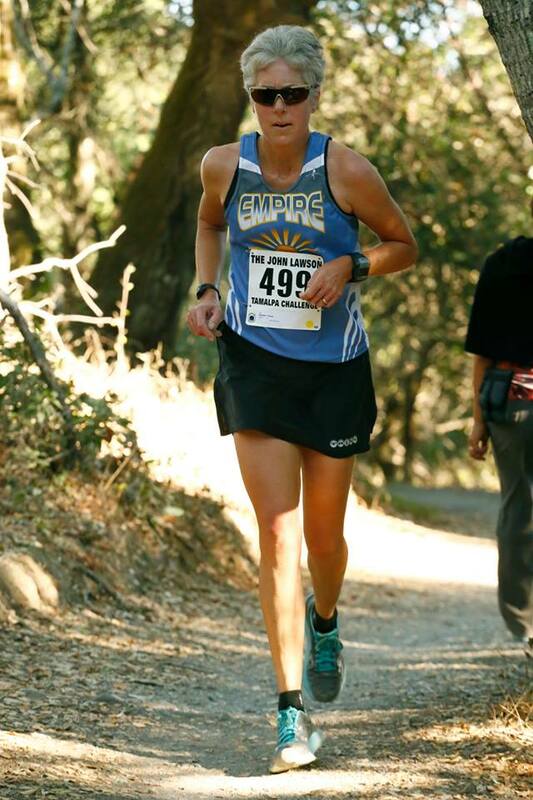 Covering the great local athletes, and especially the phenomenal elite female runners that Sonoma County has produced, has always kept me interested. That said, watching my kids grow and flourish as runners has definitely rekindled my interest in running for myself again. After college and before kids, it was easy to get out there and stay in shape. But after having kids, I didn’t make exercise a priority. It wasn’t until I had a bout of insomnia that I returned to running on a consistent basis. I was just lying in bed staring at the ceiling at 4 a.m., so I figured I’d might as well pull on some shoes and hit the road. Then about five years ago, I had pretty severe lower back pain that took me out for a while. When I tried to start running again, I kept getting sidelined by knee and ankle injuries that I’d never encountered before. It was all a bit frustrating. I decided to return to what put me in the best shape of my life during college, and got myself a rowing machine. I row on a daily basis. But now that my daughter has taken up running, I’ve been pulling on the running shoes again to run with her. We have such a nice time running together. I had forgotten how much I enjoy the sensation of running. So now I’ll be splitting my time between rowing and running. When you watch your kids race, do you get an adrenaline rush? What do you experience as a parent? Watching my kids race is hard to describe. Lilja is still in middle school and just started running, so it’s really not that serious and I simply want her to have fun. 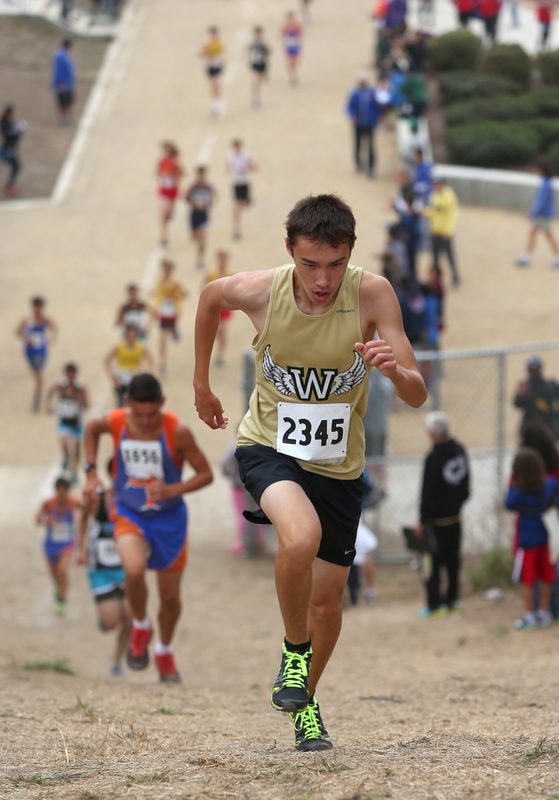 Lucas just finished his freshman year of cross country, and watching him race is fun…., but stressful. I’m definitely more nervous watching his races than I ever was when I was toeing the line myself. My wife, Leena, and I get serious butterflies in our stomaches before every meet. He’s still learning how to race, and he’s on the cusp of really being a standout. I just try to pass on the mental tools that my rowing coach taught me. I don’t want to be one of those overzealous parents. I really want my kids to have fun out there and enjoy running for the rest of their lives. I’m ecstatic that they’ve both gravitated to running on their own. I think it’s one of the most positive and encouraging sports communities out there. In some other team sports, you’re cheering for your team and against the other team. In running, you’re pretty much cheering for everybody to achieve their best. It bothers me when I’m at a race and I hear someone yell, “C’mon, you can beat this guy!”. I know they’re trying to encourage their own runner, or give them a target. But the other person is going to hear that yelling too, and how do you think that’s going to make them feel? To me, it’s not about beating some opponent. It’s about self-improvement. The University of Missouri is famous for it’s journalism program – what’s the most important thing about photography that you learned there? 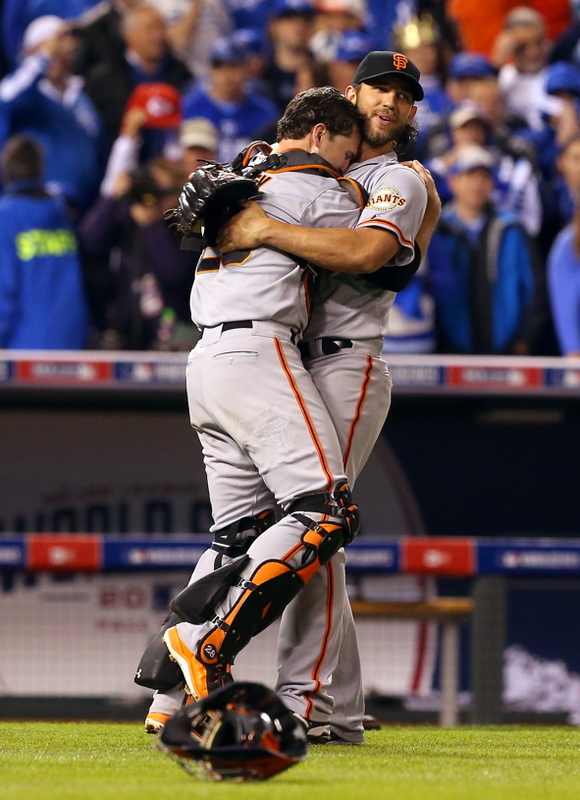 San Francisco Giants Buster Posey and Madison Bumgarner embrace after winning Game 7 of the World Series against the Kansas City Royals, in Kansas City on Wednesday, October 29, 2014. The program’s motto is a quote by it’s founder, Cliff Edom: “Show truth with a camera.” That’s what I strive for in my photography. People always think they have to pretend to do something. No. I just need to know when I can catch things happening naturally. I recently had an assignment shooting hospital volunteers. The PR person kept on trying to stage photos of the volunteers pretending to do things. I finally got through to her that all I wanted to do was hang around and photograph them doing whatever they normally would be doing if I weren’t present. After the photos ran in the paper, I received a phone call from her saying how great the photos turned out and how much she appreciated the true moments that I was able to capture. She also stated how much better the photos looked than the staged photos that commercial photographers shoot for their promotional materials. Nothing beats real life. You just have to let it happen and be ready for it. How long did you work at The Idaho Stateman newspaper in Boise, and how did you land in Santa Rosa? How long have you been with the Press Democrat? I worked for The Idaho Statesman for two years. It was my first staff position. I went their for a summer internship, and they offered me a position when it ended. It was a beautiful place to live and work, and my boss was the nicest person. I really loved Boise (and Idaho), but it’s a little… not close to anything else. I left because I wanted to return to California, and to be closer to the ocean. I freelanced for a year in Southern California for a year before a mentor recommended for me to take a look at The Press-Democrat. The photo editor at the time was John Metzger, who was a bit of a legend in the newspaper photo world. I cold called him and sent him my portfolio. He flew me up the next week and we hit it off right away. There wasn’t an opening, so he actually created a position for me. That was back in 1998, so I’ve been here for 17.5 years. Unfortunately, John died of a heart attack in 2005. What’s your favorite sport to photograph, and why? I don’t know if I have a favorite sport to photograph. I guess I like to shoot any sport with nice action and drama. I’ve been on the Raiders, Warriors and A’s beat since I got here, and also fill in on 49ers and Giants. I really just enjoy shooting alongside the other photographers in the Bay Area. It’s a lot of fun when we get together. I like the ability to pick my own spot to shoot at football. Baseball is tough, because you’re assigned a specific shooting position. And I find it to be a bit of a slow game. But shooting it when it counts, like during the playoffs and World Series is a really fun challenge. I really enjoy shooting basketball, but the NBA is becoming one of the most restrictive leagues where photography is concerned. They’ve eliminated so many floor shooting positions that smaller outlets like my paper rarely can get a floor spot anymore. I do love photographing high school sports, as well. Access is generally not an issue. You usually don’t get athletes that have developed self-important attitudes. I’ve had the pleasure of interacting with some really sweet kids (It broke my heart when I heard of Sarah Sumpter’s passing recently). In high school sports, you get athletes who are competing because of the love of the sport. Kim Conley throws her arms up in celebration as she wins the 10,000 meter race at the USA Track and Field Outdoor Championships in Sacramento on Thursday, June 26, 2014.